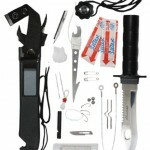 Everyone should have a survival knife kit, regardless of whether or not zombies are going to reach your doorstep. Oh, and yes, there really is a Zombie Apocalypse Survival Kit. We’ll get to that a little later. But on a more serous note, you don’t have to be Rick Grimes to know that, more than likely, you’re going to find yourself in an emergency situation. Whether it’s you that’s at risk, or you come across another person or animal in peril, it may be your survival kit that makes the difference between death and, well, genuine survival. 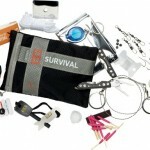 These amazing survival kits come with lots of helpful goodies to help prepare you to handle any situation you come across. From small things like rope and safety pins, to knives and in some cases machetes, you’re about to learn just what kinds of handy tools may be your most dependable friend when life throws you a very, very unexpected curveball. 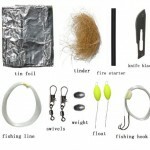 Below, we’ve put together a short list of survival kits that you will hopefully find useful. Within this table, which is interactive, you can sort by the kit’s contents, its price, and even its average customer review rating score. Survival Knife Kit: What Does It Do? 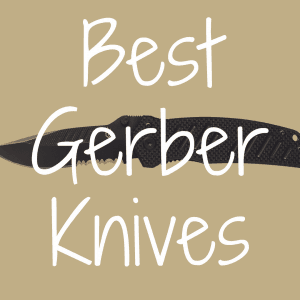 The best knife kit provides victims of a disaster with basic shelter, meets their first aid needs, provides food and water, a rescue signal, and a means of finding help. Even a very basic skit should include a knife—multi-tool knives are often preferred, but other knives can also come in handy—matches, tinder, fish hooks, a sewing kit, a first-aid kit, a bandana, and a flashlight. According to the American Red Cross, in general, any kit that’s designed to assist you in an emergency should be easy to carry and use. 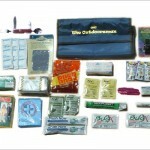 You should also have a first aid kit that includes bandages, a scalpel, disinfectant pads, rubber or latex gloves, a month’s supply of any personal prescription medications, antiobiotic cream, and ephinephrine and antihistamines for allergic reactions to insect bites, aspirin, rubbing alcohol, a suture kit, tablets for diarrhea or infection. You should also consider a second pair of prescription glasses, multivitamins, sunscreen, salt tablets to prevent dehydration, snare wire, and gillnetting for emergency fishing. Don’t forget that you’ll need to be able to signal rescuers, so you’ll need a signal mirror, a whistle, flares, a laser pointer, LED light with batteries, pen or pencil and paper, neon-colored surveyor’s tape, maps, glow sticks, and a survival manual. Useful tools include a hatchet, a camp stove, candles, a compact saw, and a solar charger. 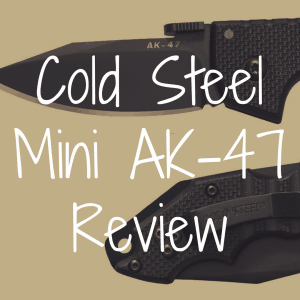 These seven survival kits are ones that I tried to base not just on their quality in terms of the items inside the kit itself, but also gauging what you get based off of price. I also tried to come up a variety of quality kits that were a genuine mix of affordable to a bit more pricey and, in turn, a bit higher in quality. Here are the top seven. You need to be prepared for absolutely everything. Now don’t get me wrong, the Rothco Survival Kit isn’t the absolute best buy you can get, but it’s solid enough for the very cheap $20 you’ll end up shelling out for it. With this kit, you’ll get a knife that’s 10.5 inches long with a blade of more than 5 inches, a hollow handle that comes with fishing line, a hook, band aids for any scrapes or abrasions you may suffer out in the wild, a signal meter to alert rescuers, a fingertip saw, safety pins for tying up clothes or other items, and even a small harpoon. The Friendly Swede Carabiner “Grenade” Survival Kit Pull is portable and easy to manage. Lightweight and compact, it’s easy to carry as a keychain, and as handy as Batman’s utility belt. This $20.99 kit comes with tin foil, tinder, fire starter, fishing lines, fishing hooks, weights, swivels, dobber, and a lifetime warranty. The flint and striker can be re-used. The 7-foot paracord is of high quality and sufficient length. One suggestion is that this item makes a great stocking stuffer at Christmas time. 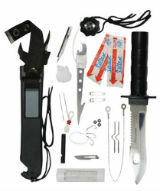 The $50 kit, with the Gerber Miniature Multi-Tool, equips the user with pliers, wire cutters, knife, screwdriver, bottle opener tweezers, a hand saw, signaling mirror, survival blanket, miniature light, lanyard ring, small and medium flat driver, fire starter and waterproof matches, cotton ball-fire tinder, snare wire, emergency cord, waxed thread, fishing and sewing kits, lanyard whistle, a nylon bag, a waterproof bag, and Bear Grylls Pocket Guide outlining the priorities of survival, as well as land-to-air rescue instructions. 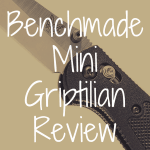 Online reviews of this kit were mixed, with some praise for the lightweight, easy-to-carry multi-tool and its usefulness as a starter kit, but others critical of the lack of a compass, means for water purification, and candles, as well as what some judged as cheap contents that failed, tore or broke. Also a four-person survival kit, this one, priced at $99.88, contains enough supplies for three days, including food and water that’s approved by the U.S. Coast Guard, dust masks, nitrile gloves, and other items. Its hand-cranked power station provides a flashlight, AM/FM radio, siren, and cell phone charger brings emergency electronics to a disaster scenario. An online reviewer praised Ready America for its responsiveness when notified that several of the promised items in the kit were missing, but also noted that the supply of water would not be sufficient for three days. The pack is roomy enough to allow the comfortable addition of extra items such as mini-toothbrushes and toothpaste, water treatment tablets, a Sierra saw and Bic disposable lighters. This isn’t a kit that you can buy, but if you trust the judgment of a Yosemite National Park ranger who has taken part in 200 rescues, you can assemble the same kit that he uses and add up the cost item by item. 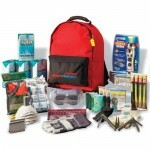 The kit includes a Bic lighter, a high-quality compass, a water carrier, a cell phone, tinder, fire starter, energy bars, a homemade first-aid kit, windbreaker, LED headlamp, canteen, tea candles, iodine tablets, wool socks, a Smith and Wesson Baby SWAT knife with a 2.5” partially serrated blade, and a space blanket that forms a sleeping bag. The people of Japan have endured a tsunami, residents of the Big Easy have withstood Hurricane Katrina, Californians deal with wildfires and mudslides on a regular basis, but the real test is yet to come: how will you handle a zombie attack? 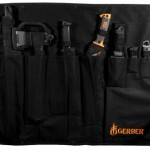 With your Gerber Zombie Apocalypse Survival Kit, of course. You’ll have a flashlight, Gorilla duct tape, a first-aid kit, a can of Spam, and a 10.75” steel blade Gerber Gator Machete Junior. The zombies don’t have a chance. For $99.99, you’ve fought off the undead and lived to tell the tale. The 16 Function Swiss Army Style Knife is made of durable Lemar, and costs $13.99, which means that you pay less than $1 per function. The Leatherman Wave, at a price of $58.20, is a multi-tool with a 3” blade that provides resourceful ways to handle a disaster. A machete knife can be used for outdoor survival techniques, including building an igloo or making a shelter out of brush. You can buy a machete for $20. The Ontario Old Hickory Three-Inch Paring Knife costs between $8-$9, is made of 1095 carbon steel, and can be used for cooking food and cleaning fish, and random tasks that can arise in a disaster situation. 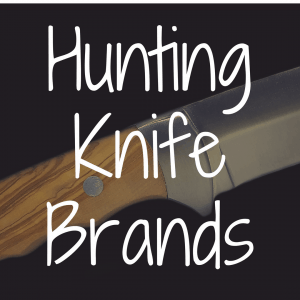 The Imperial fish knife, Opinel Knife, and Puma Knife are small game knives that could be useful for obtaining food. With any luck, your survival knife kit will stay on the shelf and never need to be used. Set a regular time to check your kit, and make sure that the contents are intact and in good shape, batteries working, etc. Maybe it’s a good idea to check your kit when you turn the clocks back for Daylight Savings Time, or at the same time that you check your smoke alarm batteries. Disasters don’t schedule their arrivals, so make sure that you’re prepared for it. 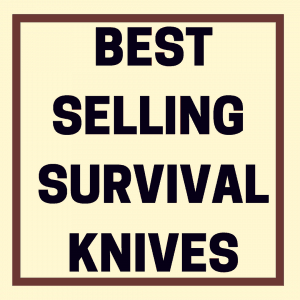 What Ultimate Survival Knife by Bear Grylls is the Best? 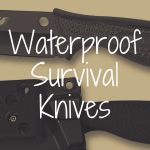 What’s the Best Waterproof Survival Knife? 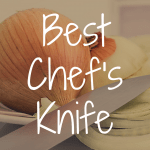 How to Pick the Best Chef Knife for the Kitchen?